What is the Statutory Council? 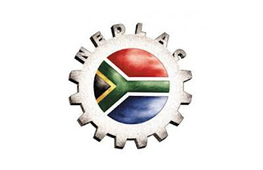 The Statutory Council of the Printing, Newspapers and Packaging Industry of South Africa was established in June 1999 pursuant to the demarcation of the Printing, Newspaper and Packaging Industry by the Minister of Labour on 11 May 1999. The Council was subsequently registered by the Registrar of Labour Relations on 01 June 2001 in terms of section 42(a) of the Labour Relations Act. The parties to the Council are the representative registered trade unions and employers’ organizations, the members of which are engaged in the sector and comprises of representative trade unions and employers’ organizations. The main function of the Council is to perform dispute resolution functions for parties falling within its registered scope. Disputes concerning dismissal, unfair labour practices and matters of mutual interest may be referred to the Council for resolution. The Council has appointed a list of panellists who Conciliate and Arbitrate disputes within the jurisdiction of the Council. All panellists are accredited by the CCMA. The Council is accredited by the CCMA to conduct dispute resolution functions.